Thanks, Lance. I'm a big Rosen fan and have a number of his books but not those (I also still own his Art of Fugue LP--which also has the Goldberg Variations--and his late Beethoven Sonatas). The one Rosen disc I would like to see issued complete on CD is the one he did for Epic Records called Virtuoso. I have a pristine copy of the stereo LP and only a few items from that disc has been reissued. jbuck919 wrote: Thanks, Lance. I'm a big Rosen fan and have a number of his books but not those (I also still own his Art of Fugue LP--which also has the Goldberg Variations--and his late Beethoven Sonatas). 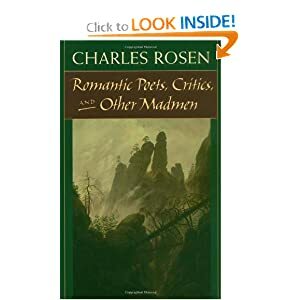 I didn't know about "Romantic Poets, Critics, and Other Madmen" and will definitely check it out. "Music and Sentiment" is an illuminating book on an important subject. Lance wrote: The one Rosen disc I would like to see issued complete on CD is the one he did for Epic Records called Virtuoso. I have a pristine copy of the stereo LP and only a few items from that disc has been reissued. That's a great LP. What's been reissued from it and where? 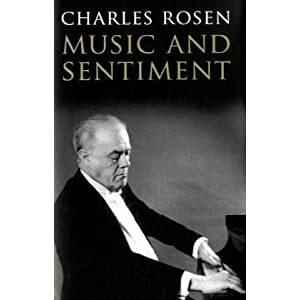 I had the good fortune of getting to know Charles Rosen somewhat when I was doing graduate work at Stony Brook university on Long Island where he used to teach during the late 80s and took a course on musical and other criticism under him. His intellect was rather intimidating ,but the course was very stimulating. I share the general admiration of his books. 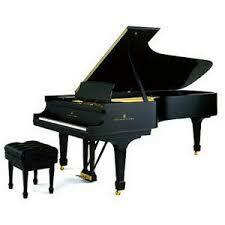 I never liked Rosen as a pianist. But I loved his book, "Beethoven Piano Sonatas: a Short Companion", in special regard the indication of the tempos and their meaning in Beethoven's time.